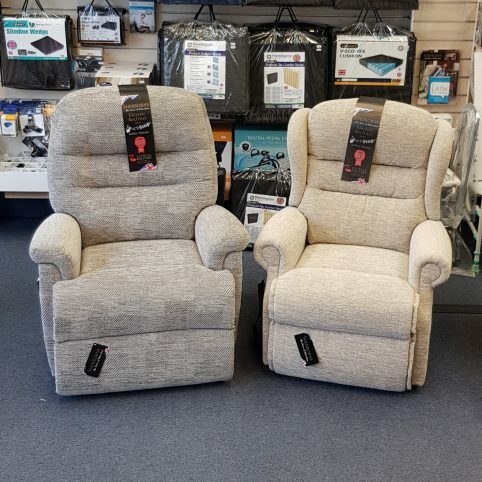 We stock a range of quality, comfortable, Riser Recliner Chairs and bespoke specifications can be ordered to meet your requirements. Your comfort is our priority. Having a riser recliner chair that promotes good posture, aids pressure relief and enables you to rest and relax is key to your wellbeing. At Pennington Mobility we stock quality brands of chairs to suit all ages, abilities and budgets. 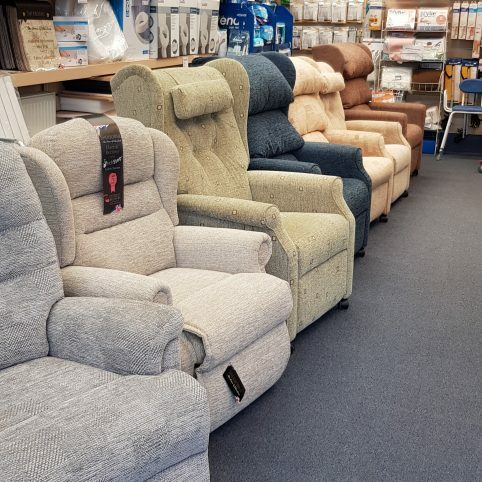 As this is such a personal item, we currently do not sell riser recliner chairs online, however, we encourage you to come into our store, where our friendly team will guide you through the options available to you. The following will give you a guide to some of the products we stock. Pennington Mobility is proud to stock and supply Sherborne chairs. Founded almost 90 years ago, Sherborne has grown from a small family business into one of the most successful upholstery companies in the UK. These British made Riser Recliner Chairs come in a wide range of styles and fabrics with a choice of size and motor. As the choices are numerous, the prices given here are a guideline only, based on a standard size chair. Prices will vary according to chair size, motor, back style, fabric etc. There is a wide choice of fabrics available from the British manufacturers along with ‘optional extras’ as detailed in their brochures. All prices given are EXCLUDING VAT. Customers may be eligible for VAT relief if they have a chronic condition or disability. Please see our VAT exemption page for further details. Warranty of 12 months from the date of delivery to be free from defect. Warranty for the frame and electrical components; 5 years Sherborne.